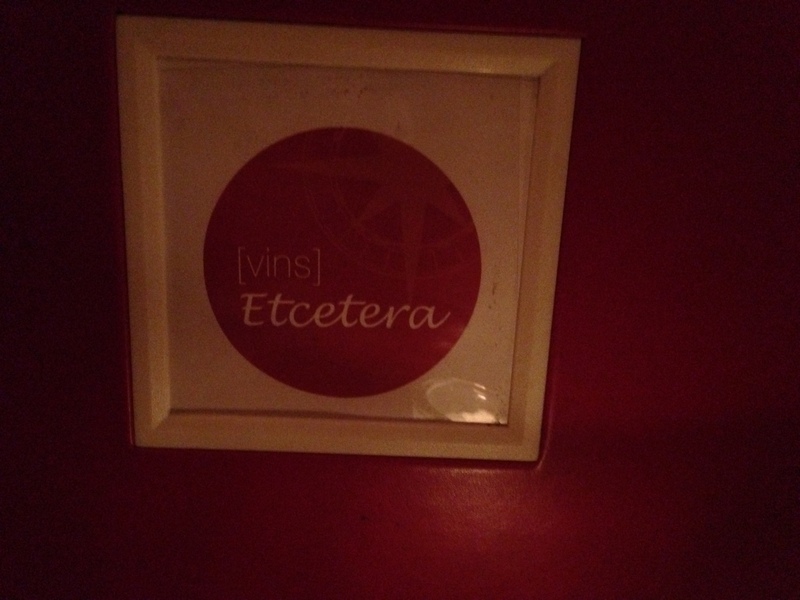 On Valencia, in the Mission District, San Francisco, a small French wine and tapas bar called Etcetera. 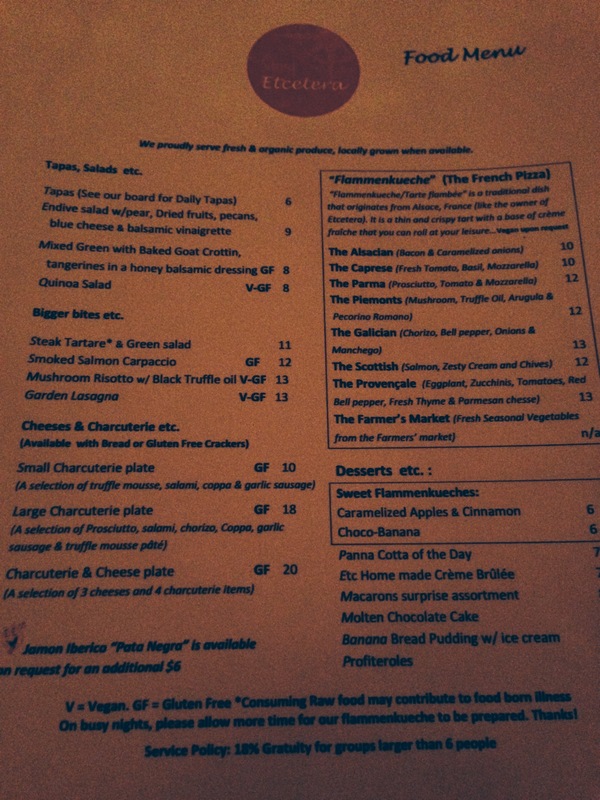 The twenty-page wine menu can satisfy anyone’s taste for great wines. Pair a great wine with a small bite from their tapas menu. The Salmon Blinis with Goat Cheese Salad was Melissa’s choice for her first visit to Etcetera. 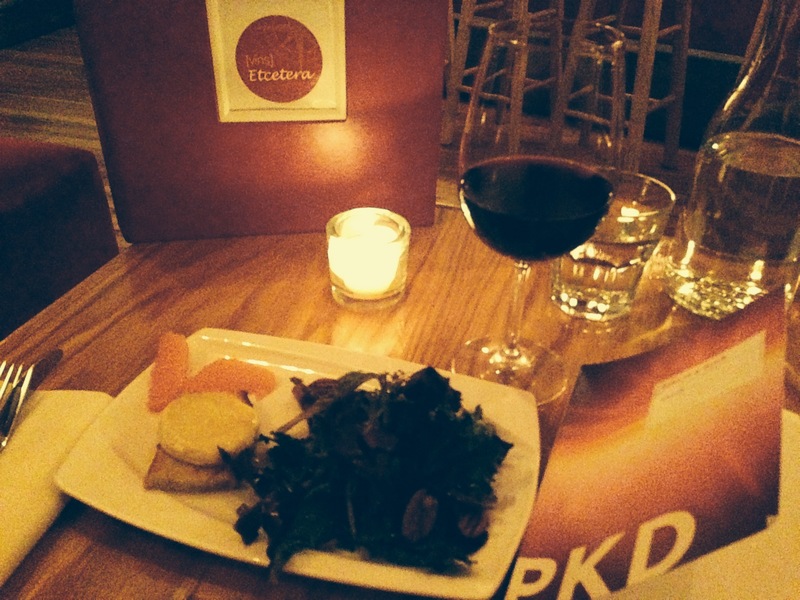 The atmosphere is a definite plus for a date night location. My daughter Melissa is always discovering hidden treasures in the Bay Area. It’s awesome too, because, we are both definitely foodies, and with her living in the big city, she can share her finds with me here in Orlando. For more information visit www.etceterawinebar.com.